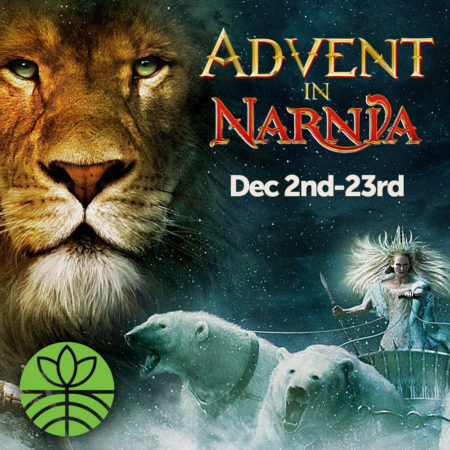 This week, Pastor T. C. kicked off the season of Advent and the “Advent in Narnia” teaching series with a message about Advent as a mystery we encounter with humility and wonder, like Lucy stumbling through the wardrobe. At times, we need a spiritual wake-up call, to recapture a sense of child-like faith. Yet, Narnia isn’t a perfect world. Like our world, Narnia is caught in the crossfire of a war. Advent reminds us that Christ is the rightful King of the world, yet we currently live in enemy-occupied territory. Advent is a time when we are called to contemplative practices so that our activism isn’t reactionary, but comes from a place rooted in Christ’s love.